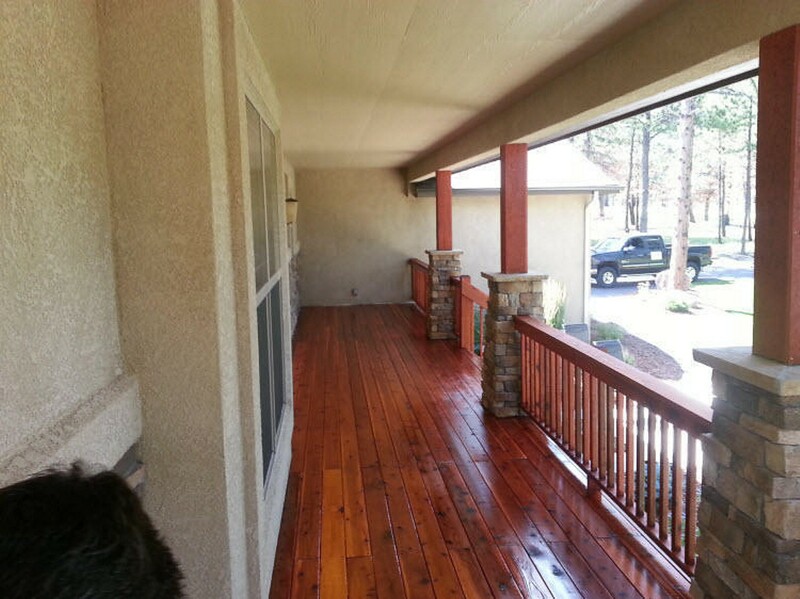 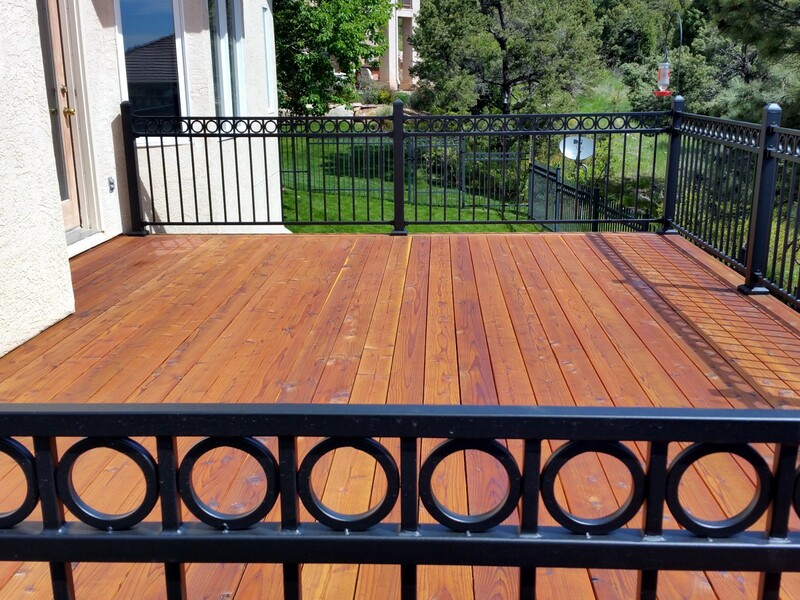 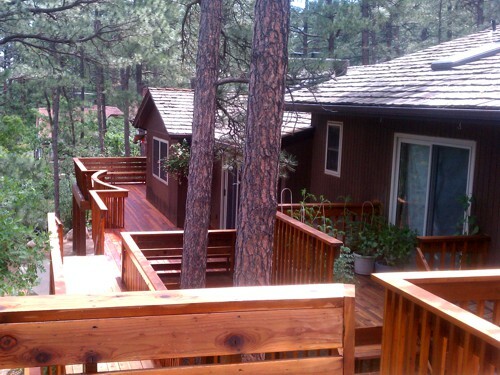 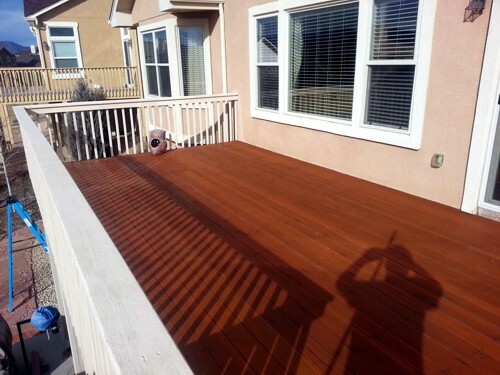 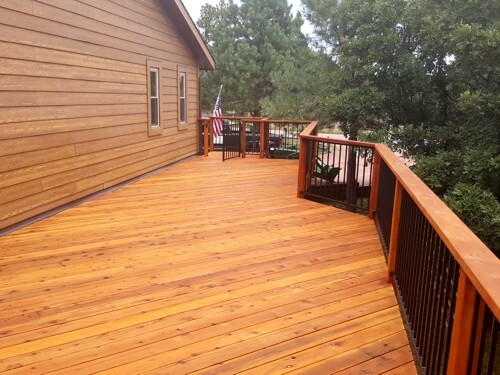 If your deck is showing some wear and tear after being exposed to the Colorado weather for a few years, O'Leary & Sons' crew that specializes in deck and fence refinishing can make it look new again for you. 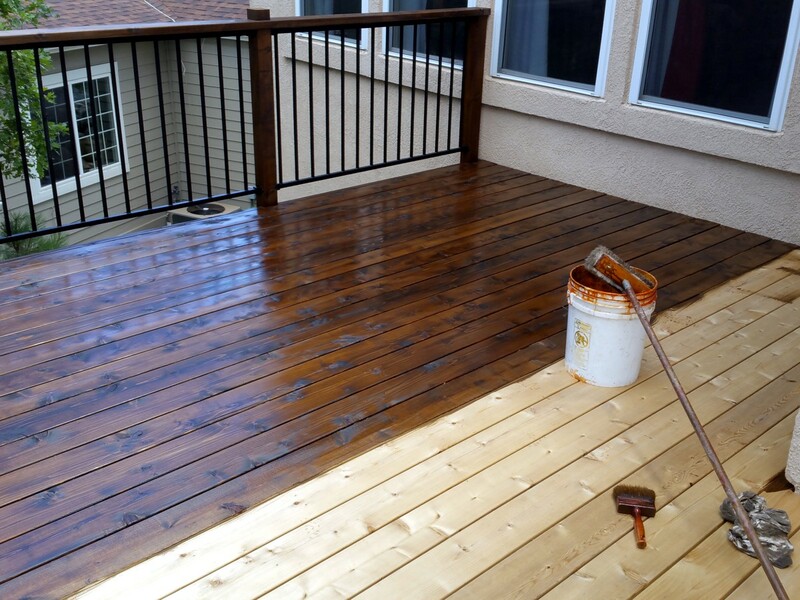 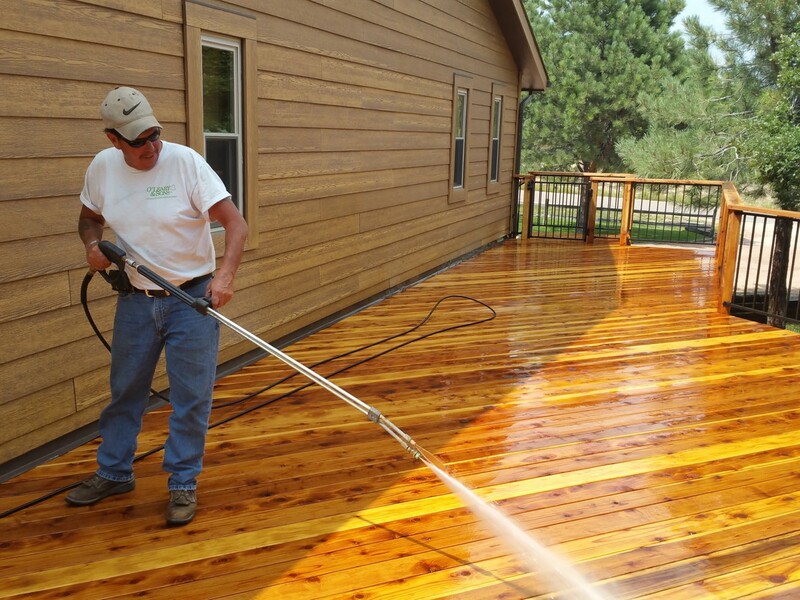 Our crew will clean your deck, sand the deck and then stain it to give your deck that new appearance that you are looking for. Colorado weather is tough on decks and sometimes you have to replace decks that are less than eight years old. 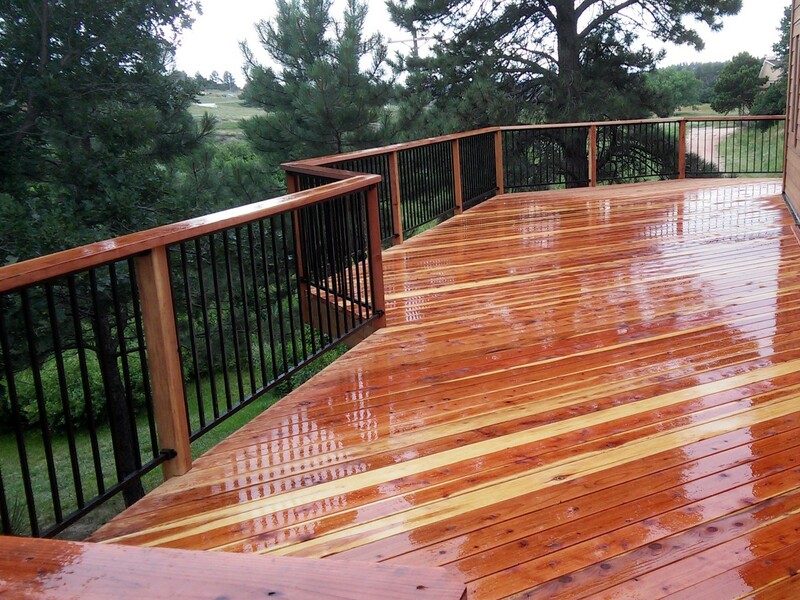 Most of these decks are victims of neglect. 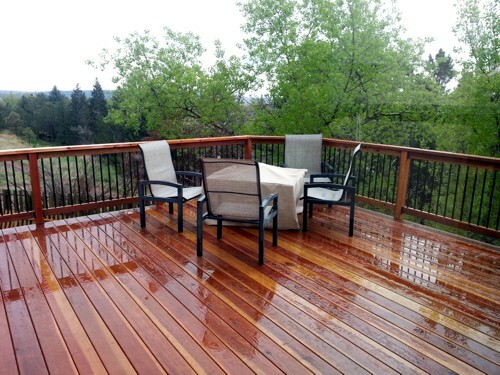 With regular maintenance, a deck will easily last for twice as long. 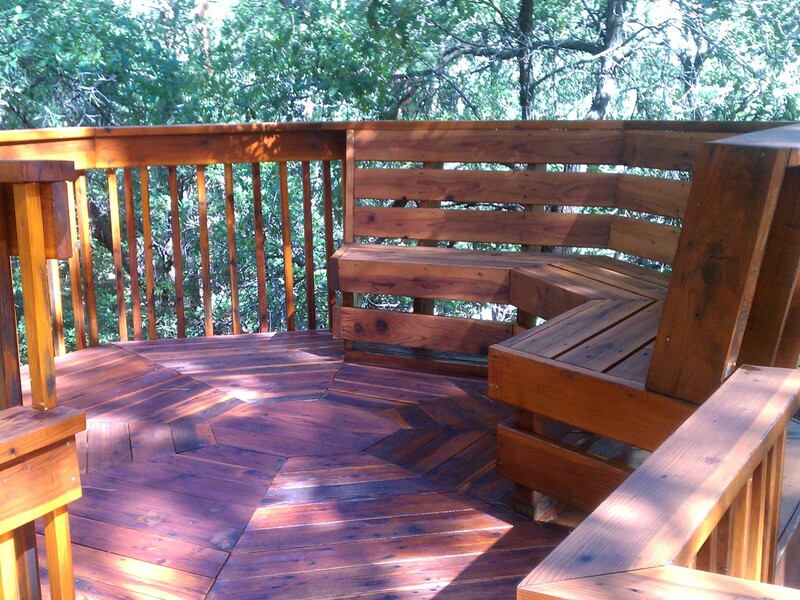 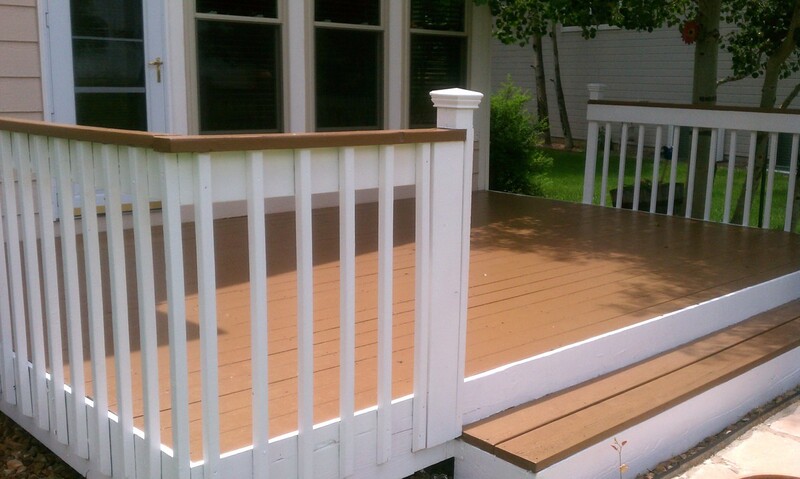 The good news is that most decks, can be rejuvenated for a lot less than the cost of replacement. O'Leary & Sons have been the leading experts in refinishing decks since 1988 and we offer a complete maintenance program that can save customers up to 40% on re-coating every several years. O'Leary & Sons have built, repaired and refinished more than 300 decks, just in Colorado Springs. 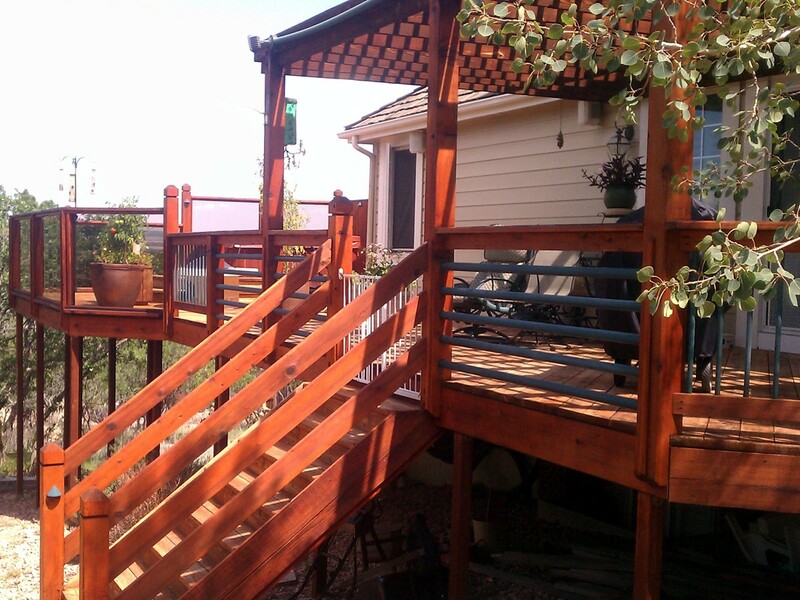 We are very aware of what type of maintenance is effective, here in the Colorado weather zone. We offer very competitive pricing and highly professional crews to work on your specific project, so please call us for a free estimate at (719) 573-0682. 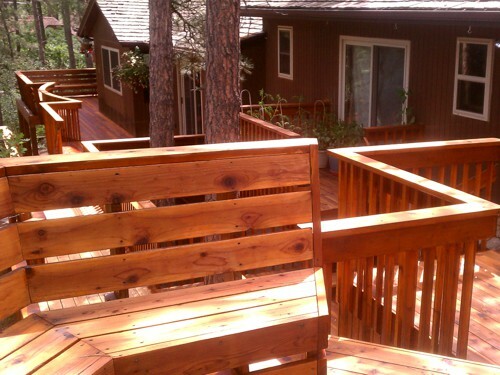 I was absolutely astounded by the speed and service that they provided. 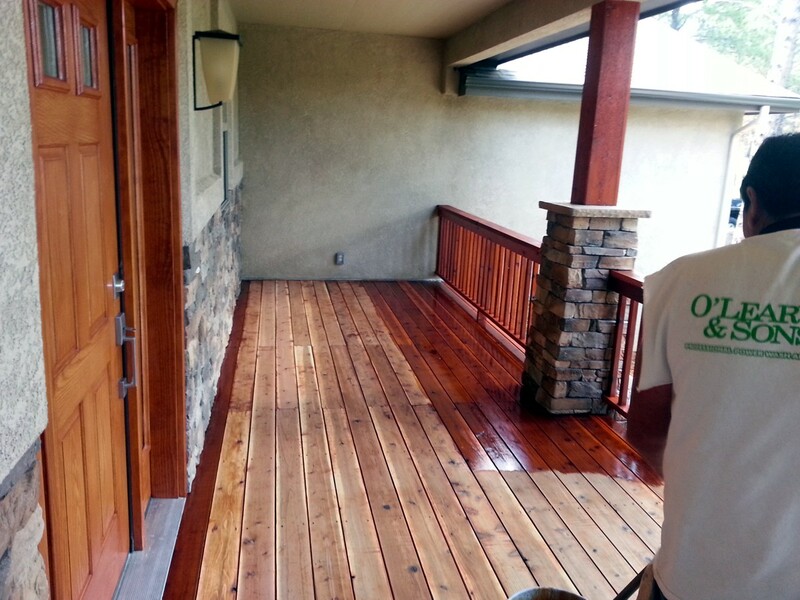 They were really great to work with. 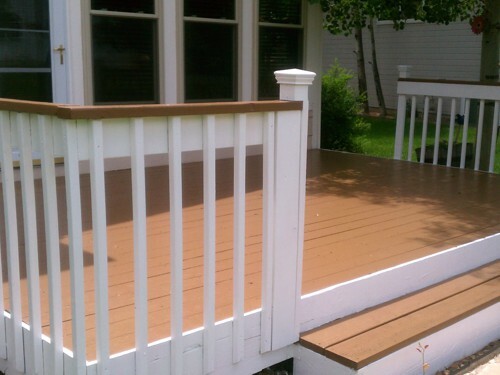 I would recommend them to anyone! 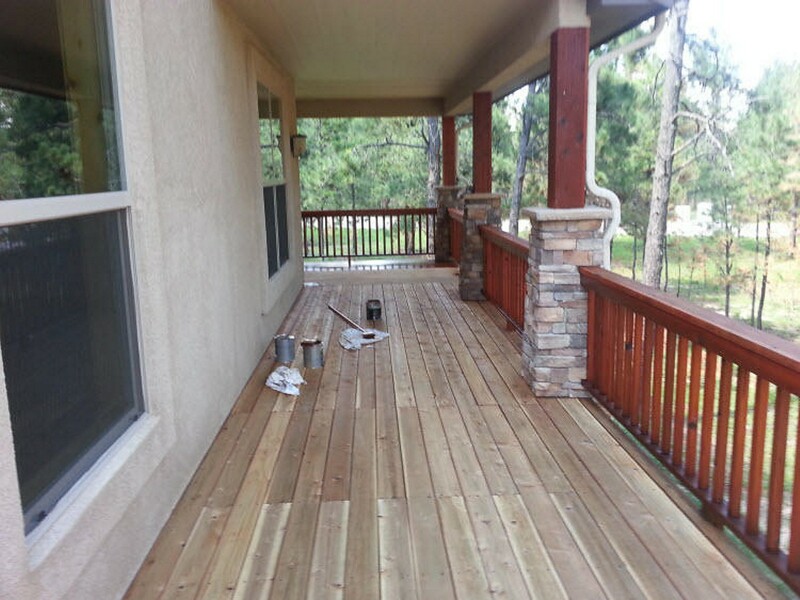 The estimate before the work was great to know, and there was no cost for an estimate (free).